9. 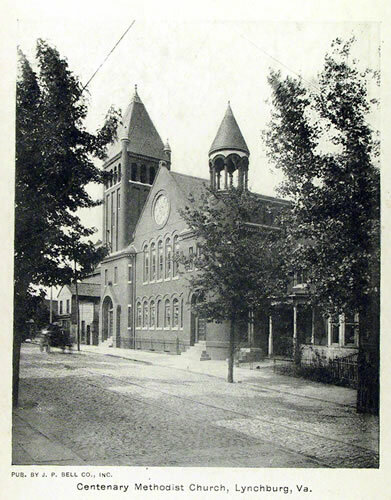 Site of Old Centenary, 1020-22 Church St., built in 1849, improved in 1893, and was considered the finest church building in Virginia Conference. The last worship service was held there in October 1930. It was later used as a Post Office Annex before being sold to Schewel Furniture Co. who subsequently sold the building to Park View Church. It was moved brick by brick and reconstructed on Memorial Avenue.